You are viewing what is often considered to be the most beautiful representation of the Civil War ever crafted in a chess set! 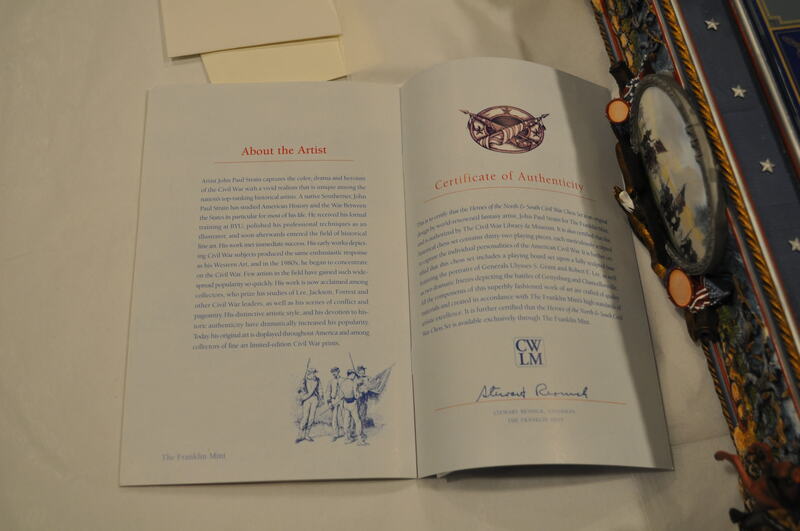 Complete with box and COA (Certificate of Authenticity) Booklet. 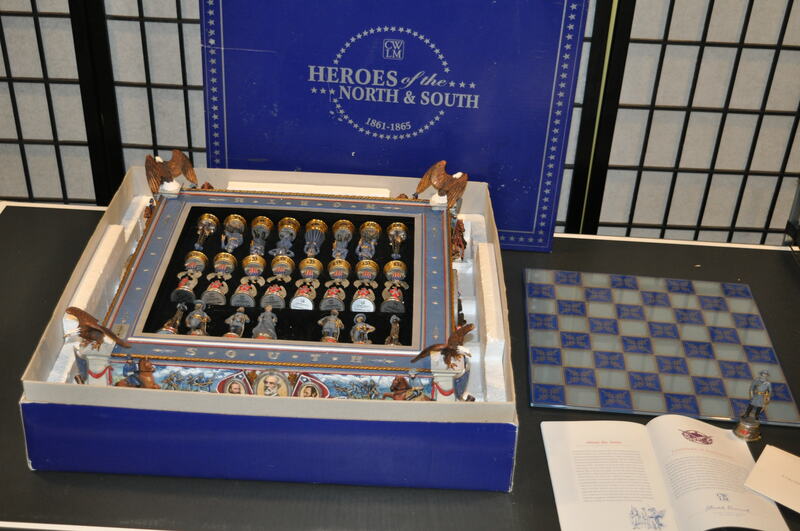 Extremely rare and quite difficult to locate at any price, this stunning set was originally commissioned by the Civil War Library and Museum and produced by the FRANKLIN MINT and is titled: “CIVIL WAR HEROES OF THE NORTH & SOUTH”. The set was designed by John Paul Strain who is considered by most to be the very finest historical artist of the Civil War. This chess set features spectacular depictions of most of the well know personalities of the War Between the States. It includes beautiful portrayals of Robert E. Lee, General Meade, General Grant, General Custer and a host of others. Each individually crafted pewter piece is cast, painted and finished by hand in exquisite detail to the artist’s demanding specifications. Shipping is NOT included. Please contact me for quote. Will be double boxed to preserve original shipping box. No returns or refunds. 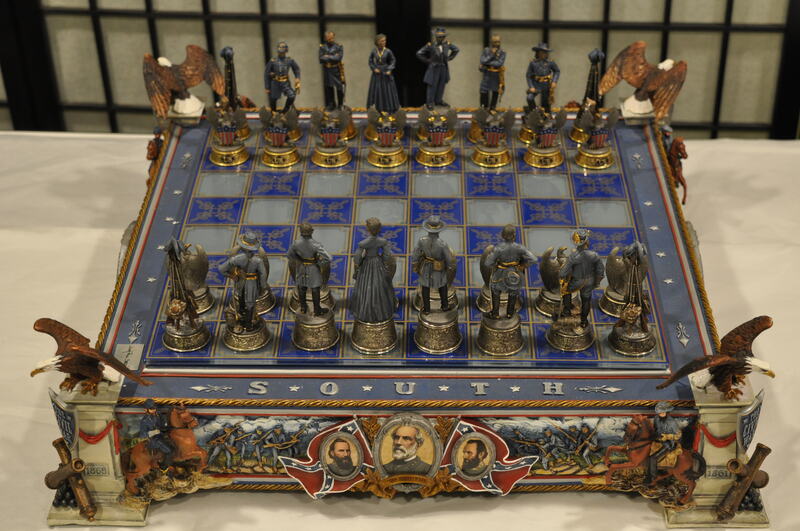 You are viewing what is often considered to be the most beautiful representation of the Civil War ever crafted in a chess set! 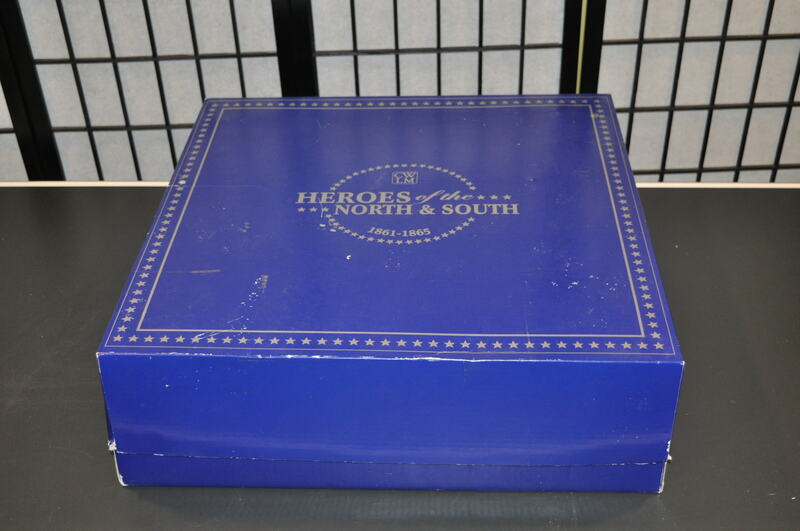 Extremely rare and quite difficult to locate at any price, this stunning set was originally commissioned by the Civil War Library and Museum and produced by the FRANKLIN MINT and is titled: “CIVIL WAR HEROES OF THE NORTH & SOUTH”. The set was designed by John Paul Strain who is considered by most to be the very finest historical artist of the Civil War. 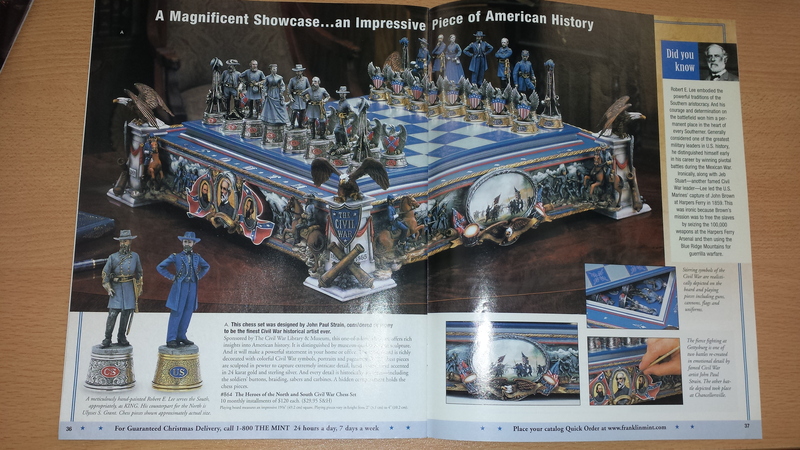 This chess set features spectacular depictions of most of the well know personalities of the War Between the States. It includes beautiful portrayals of Robert E. Lee, General Meade, General Grant, General Custer and a host of others. Each individually crafted pewter piece is cast, painted and finished by hand in exquisite detail to the artist’s demanding specifications. 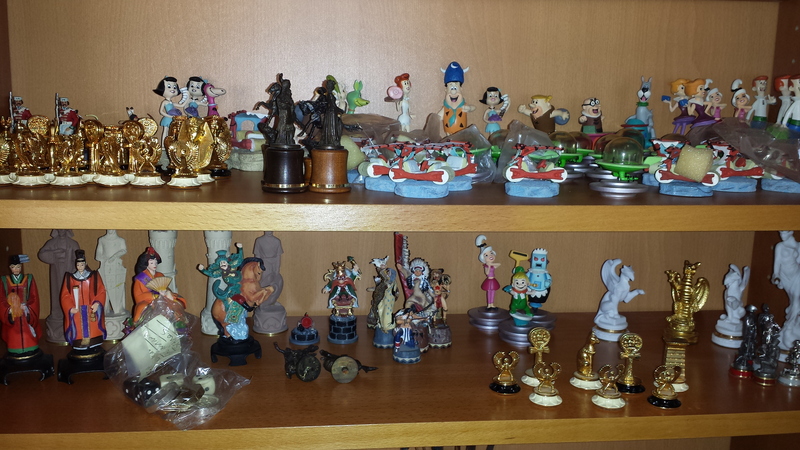 This is a complete set of 32 pieces which will be shipped in the original box that is shown. 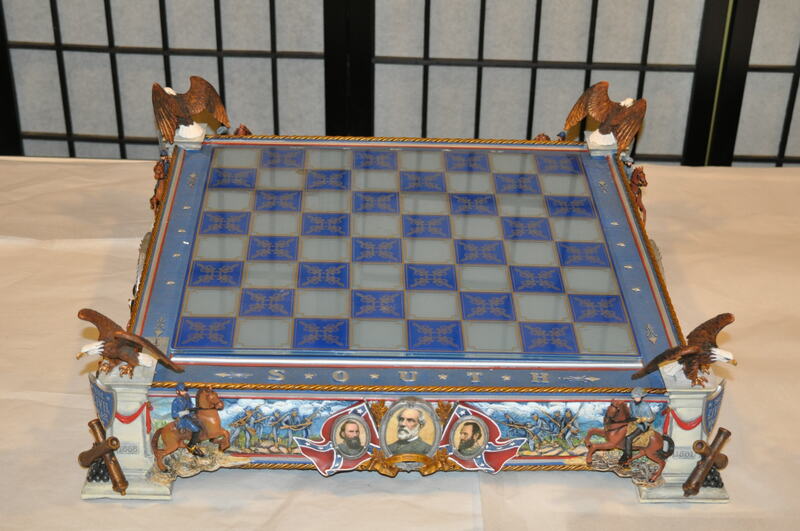 As stupendous as the pieces are, the chess playing Board itself is far and away the very finest, most detailed civil war chess board you will find offered anywhere at any price! The Board is depicted in the photographs, but the photos hardly do it justice. The frescoes, and the three-dimensional horses and figures are stunning and will draw you into the image. The playing surface itself is glass beneath which lies a custom fitted storage nook for every piece. 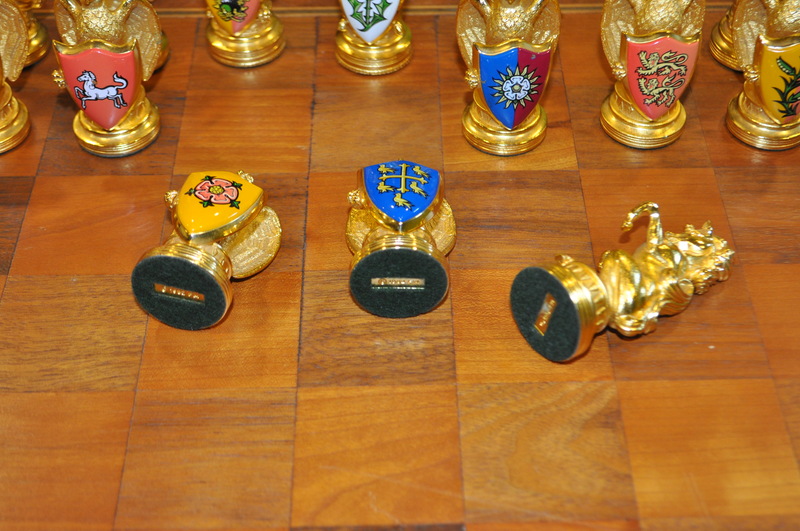 The approximate size of this magnificent chess board is 19″ inches by 19 inches. 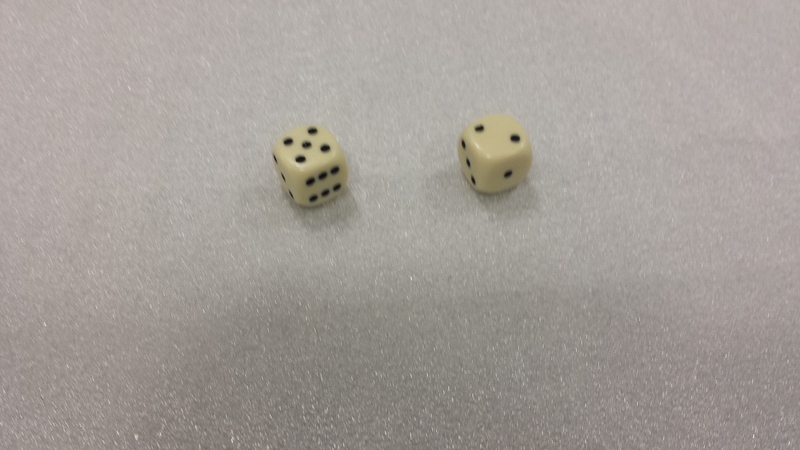 The Board and the set of pieces is VERY HEAVY. No one who has the opportunity to view this set in person can help but to be captivated by its beauty.